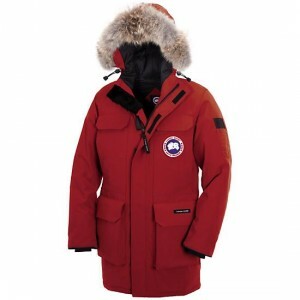 Here’s a guide on what to wear in the Arctic or cold climates. This guide is primarily aimed at those joining me on one of my Northern lights expeditions but is equally applicable to camera crews and film crews that may be working in very cold environments. The key principle is to build up layers of clothes that will trap air. Trapped air keeps you warm , but allows your body to breathe, so sweat evaporates or is wicked away so you don’t get damp and cold. By wearing multiple layers of thiner garments you can make use of clothes you may already have for normal climates at the same time as giving you the option to remove layers if you find you are too warm. The most important layers are the base layer and top layer. Get these two layers right and what goes in-between is less critical. It is worth investing on good quality base layer garments. The other big investments will be good boots, good gloves or mittens. Thermal long-johns and vest for the base layer. The base layer is the most important. Wear the wrong materials in your base layer and you will end up cold, no matter what you use on subsequent layers. 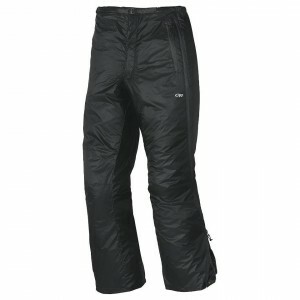 The base layer should comprise of a thermal or compression vest with thermal or compression long legged pants (long-johns). These must not be cotton! Cotton absorbs moisture and stays wet. If you wear a cotton base layer you will get damp and feel cold. The best material is merino wool, but this is expensive. Almost as good and much cheaper is polyester which is very effective as a base layer. 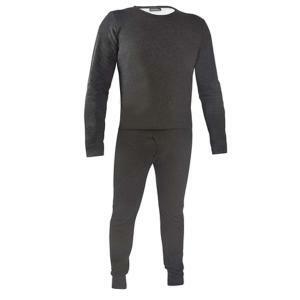 I recommend a thermal compression long sleeved top with polyester leggings. These can be purchased from most good sports, cycle or skiwear stores or via ebay. A long sleeved vest or pair of leggings will cost around £10/$14 each. The base layer is finished off with a good pair of thick warm socks. Again merino wool is very good especially if a loop stitch has been used to bulk the sock up, but brushed polyester is also excellent. I’m a particular fan of the “Toasty Toes” brand. Make sure you get long length socks to keep your calfs warm when riding on the snow scooters etc. Some people like to wear two pairs of socks, but I find that this often ends up quite tight and as a result can reduce the blood flow to your feet with the end result that your toes are colder than they would be with just one good thick pair of socks. This can be one or more layers depending on how active you will be and how much you feel the cold. This is your insulating layer. Again you don’t want fabrics that will absorb and hold moisture. Once again wool, polyester as well as other man made fibers such as fleece (made from recycled plastic bottles or polyester) are best. As a guide, when you put clothes in a washing machine you will notice that some clothes come out after a spin feeling almost dry while others do not. For example a cotton T shirt will be very wet while a fleece jumper will feel nearly dry. The clothes that feel near dry are generally the ones that will keep you warm. For a simple and very warm mid layer solution you could consider a scuba divers, under suit. Perhaps you know a diver you could borrow one from, sometimes they are known as “wooly bears” as if made from fleece you might look like a large wooly bear wearing one. They are very warm. High quality polartec or hollow fiber under suits can be purchased on ebay for around £100/$150. One advantage of an under-suit like this is that you do not then need additional over trousers and for short trips outside you do not need an outer coat. When indoors you can unzip the top and pull the top down if you get too hot. The down side is that you will need to ensure your outer coat will fit over the top of the bulky under suit. If you don’t want to invest in a dedicated under suit then don’t worry, there are plenty of alternatives. Fleece track suit as your mid layer. A fleece sweater or fleece top makes an excellent mid layer, especially when combined with fleece leggings. Most sports stores sell fleece track suits for less than £50/$80. Again look for polyester as the main fabric. If you are someone that really feels the cold then a thin fleece shirt can be worn under the fleece top, or a wool or polyester jumper can be worn over the top of a thin fleece top. These don’t have to be expensive brand name items. Cheap, supermarket fleece sweaters and leggings are very effective. If buying a track suit try to get a top without a hood if you can as it will be more comfortable under your outer layer without an extra hood. An arctic parker for the outer layer. The outer layer as well as adding extra insulation also needs to protect you from the wind and snow. If it’s very cold, as in the Arctic winter, then it doesn’t need to be waterproof like a winter coat you may use in the UK or less cold climates where rain protection is required. Often fully waterproof garments don’t breathe well so sweat and moisture can build up and may reduce your overall warmth. The coat really needs to breath. Quilted down Jackets or parkers are favourites for the top layer, however modern insulation materials like thinsulate or other hollow fiber and polyester insulation works very well. What you looking for is a jacket that feels thick and puffy. Make sure your outer layer is big enough to go over all your other layers. If you are buying clothes do consider looking at military surplus outlets. You can often pick up excellent very high quality winter and arctic clothing for a fraction of what you would pay for high street brands. There is an Inuit Eskimo saying that “When your feet are cold, cover your head”. 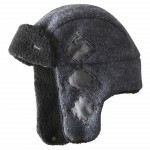 You can loose 20% of your body heat through your head so good head wear is essential. Again you are looking at layers. The outer head garment should be a thick wooly hat or fur hat. In northern climates the locals swear by rabbit, fox or seal fur hats. If you don’t agree with the use of fur then a nice thick wool hat will work well (especially if you coat has a hood to keep any wind off). With the hat you will need either a scarf or balaclava. I say need because you need something to protect your face and nose. A thin micro-fleece balaclava with a large single face opening is excellent as it can be pulled up over your nose when you need it or pulled down under your chin when you don’t. It will also help keep your neck warm. Myself, I use both a balaclava and a thin scarf together. Hands are difficult to keep warm, especially with gloves. You can get thick gloves, but these tend to restrict movement and can be difficult to get on and off. For cold arctic environments mittens are often better. Your fingers will be warmer and they are easier to get on and off, so if you need to make a camera adjustment or zip up your coat you can just slip the mittens on and off quickly. 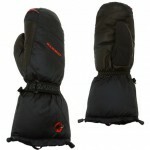 If you get a large size pair of mittens you can wear a pair of microfiber fleece gloves inside the mittens. Army surplus is a good source of arctic mittens. This can be challenging to get right without breaking the bank, but it can be done! First, normal hiking and walking boots are not suitable. You may be standing in snow or on very cold ice for long periods, so if your boots are not well insulated you will got cold feet. 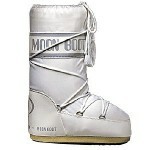 Moon boots are an option for the less adventurous. If you are not going to be running around a lot or walking long distances then all you need is something warm and moon boots are very good at keeping your feet warm. They are also not too bad if you have to wear them a flight or in a car as they are not heavy and are reasonable flexible. 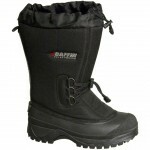 If you want to trudge through deep snow or are a bit more adventurous then you’ll need proper arctic boots. 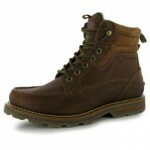 There are two principle types, light weight boots similar to hiking boots but with extra layers of fixed internal insulation or long length almost “wellington” style boots with a fixed or removable thermal liner. If you want a lighter hiking/walking style boot then there are many to choose from including the famous “Micky Mouse” or “Bunny” boots issued to US airmen or the military operating in the arctic. If considering a light weight boot make sure it has a thick insulating layer inside the entire boot, at least 10mm thick and in particular in the sole of the boot. Many of the designer brands commonly available only have very thin insulation and are not really suitable. Personally I don’t find this type of boot warm enough, instead preferring a purpose designed arctic boot as below. Longer length arctic boots with removable liner. I have a pair of long length boots with a removable liner, these are generally warmer than the hiking style boots and have the advantage that the liner can be removed for drying if it gets damp. You can buy very effective arctic boots brand new on ebay for £40/$60, look for the ones with removable liners and buy a pair at least one size larger that you would normally wear to allow for thick socks and to make sure you don’t reduce the circulation to your toes. Hand warmers. Even with the very best clothes there may be times when your hands or feet start to feel the cold. Chemical hand or foot warmers can be used on these occasions to warm them up. The hand warmers work best when used inside mittens or in a pocket. Foot warmers are also available. The best types are the single use chemical warmers. A brand I use is called “Little Hotties”. The re-useable liquid type warmers are not very effective in the severe cold of the arctic.